Over the past year I’ve received Phil Frost’s newsletter, recommended to me by a coworker. These weekly emails are full of detailed steps for optimizing your content and understanding the digital marketing sphere – all for free. He’s founder and COO of Main Street ROI, a digital marketing agency in New York City. The weekly emails he sends out display his expertise in digital marketing and sales. If you take a look at his education and background, you’ll be as eager to hear his advice as I am. He has given us permission to share a copy of his email below. It’s regarding Google Analytics Goals, as applied to small businesses, but it fits the needs of nonprofit marketers as well. Setting up goals allows you to gain more insight within Analytics, helping you more diligently track website performance with donors, volunteers and other users. Be sure to sign up for Phil’s newsletter yourself, or even attend his free training sessions! Today’s article is all about Google Analytics Goals (aka conversion tracking). Without conversion tracking, it’s simply impossible to be successful with digital marketing so make sure you have the correct Goals set up in your Analytics account. Have you ever considered what a visitor’s experience is like when they’re on your website? Are they engaged in your content, or do they leave without clicking to a new page? Are they reading your blog posts or moving on quickly? Which of your marketing channels are resulting in more leads or sales? 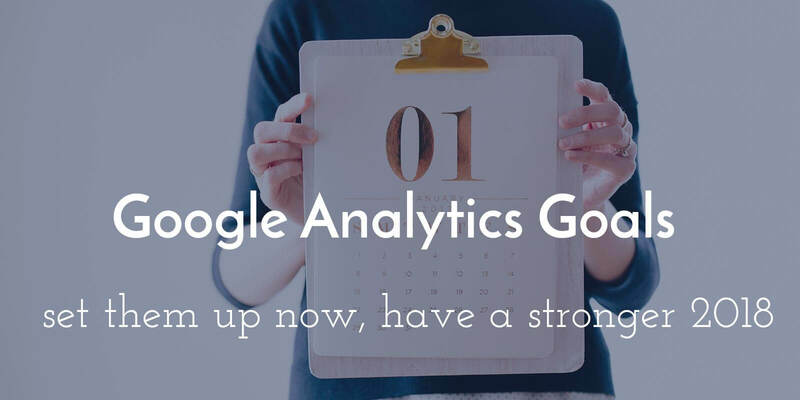 Using Google Analytics Goals will give you the answers to these important questions. Without answering these questions, your marketing efforts are doomed to underperform. It’s not enough for shoppers to visit your business online; the whole point of “all this digital marketing stuff” is bringing in visitors who convert into customers. You need to see whether you’re accomplishing your various Goals – and if you’re not, where your sales funnel is breaking down – in order to get the most return on your investment. In this article, you will learn about seven Goals that are commonly used across a wide range of small business websites. But first, we’ll review the types of Goals available in Google Analytics. 1. Destination Goals are met when a specific page of your website is viewed. We’ll talk more about these in the next section. 2. Duration Goals reveal whether visitors are staying on your website for as long as you’d like. This type of Goal isn’t as vital for many small businesses, and the Goal’s methodology is lacking in some ways. Still, some businesses will find this type useful. 3. Event Goals keep track of when visitors perform specific actions throughout your site. Like Destination Goals, this Goal type is also highly useful for most small businesses. 4. Page/Screens per Session Goals show how many pages of your site people visit before leaving. You can set a target number of screen views to count as a conversion. 1. Page Views: Are visitors engaged in your site, or do they not find your content interesting? Set a Goal for page views and see whether visitors who land in different sections of your website behave differently. The data can reveal the need for more compelling content or perhaps even a landing page overhaul. 2. Account Creations: Do visitors need to create accounts on your website in order to place orders or request services? If so, then you’ll want as much data as possible regarding who follows through with this process. Create a Goal funnel encompassing each page of your account creation process. (You’ll see where to do this when setting a destination Goal.) If people are bailing out of the process before finishing, you’ll see it in the data and know what needs to be fixed. 3. Order Confirmation: You should always show visitors a confirmation or “thank you” page when they complete a purchase or place an order on your site. Create a Goal to keep track of these transactions to learn how your website is directly impacting your bottom line. 4. Quote and Information Requests: Your website might urge people to request a free quote or information packet. You can gauge the effectiveness of this call to action by creating a Goal funnel and by tracking form submissions. If your business offers quotes and information regarding various services, you can see which services attract the most interest. 5. Shopping Cart Funnels: Are willing buyers bailing out of your shopping cart process because it’s too cumbersome? Or perhaps you’re losing customers when they’re asked to provide a specific piece of information? Create a Goal funnel for your shopping cart pages to make sure you’re not losing customers during checkout. 6. Clicks to Call or Email : If your website encourages prospects to call or email, then make sure you’re tracking both using an Event Goal. That way whenever prospects click to call on their mobile device or click to send you an email, you’ll see those actions in your Analytics reports. 7. Offline Ad Conversions: Many small businesses pay for advertising on TV, radio, magazines or the local newspaper. Create unique landing pages for your offline ads with simple URLs to display with your ad copy. Then, create a Goal funnel to track those offline ad conversions. You’ll quickly learn whether your traditional advertisements are generating leads and sales on your website. Google Analytics is a powerful tool that can take your digital marketing to the next level. But you need to incorporate Goals for Analytics to be effective. The seven Goals we highlighted are relevant for a wide range of small businesses. However, the possibilities are endless when considering how Goals could help you improve your marketing. You’ll find some Goals to be more relevant to your business than others. Subscribe to Marketing ROI’s newsletter here!